Vigor Events – in co-operation with Al Gas Events – organized the 2-day workshop titled Bee Engaged™ on the 30th to 31st of October 2018 in Burgan meeting room in Hilton Resort Kuwait. Conducted by renowned Author of “The Success Formula” and “The Bee Book” a parable about change, innovation, employee engagement and leadership. The highly engaging workshop which was presented by the international employee engagement expert Paul Rigby – was designed with the objective for participants’ to develop a common language (based on the story of the bees) to be used throughout the organization for practical engagement. The 1st day simulation was designed to help attendees explore the difference between motivation, happiness, engagement and satisfaction and the scene for what employee engagement is all about. He started to explore the POLLENTM model of engagement with step P and O. Day 2 focused on completing the POLLEN model and the assessment culminating in the respective teams or tables wrote their own version on how an “engaged hive” will look and feel like using the learnings from the workshop. 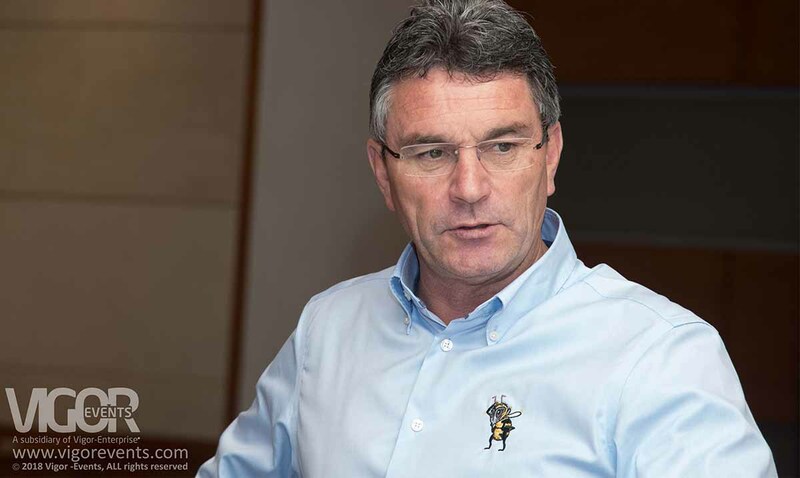 It is worth mentioning that Paul Rigby consults and advises with business partners and frequently assists them with their change, innovation, leadership and employee engagement efforts and he is the leading facilitator & certified master consultant of the BEE suite of workshops. The simulation is part of the Knowledge Club™ 2018 is the leading & development platform for top organizations in Kuwait, is attended this year by Warba Bank/ Burgan Bank as Gold Member, Commercial Bank of Kuwait/ Kuwait Oil Company as Corporate Members and with the media support by the International Advertising Association (IIA) – Kuwait Chapter.